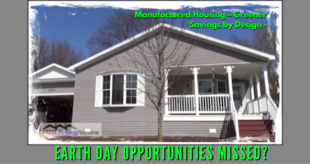 Home / Manufactured Home Article / Manufactured Homes Could Help Solve the Affordable Housing Crisis, So, Why Aren’t More Manufactured Homes Being Sold? People generally don’t buy something that they don’t understand, misunderstand, have concerns about, aren’t motivated to have, or are otherwise unable to buy. Until understanding, interest, desire, opportunity, need, and the means to buy all come together, no purchase is made. There are more details. But in a nutshell, those two sentences above sum up the answer to the headline question. 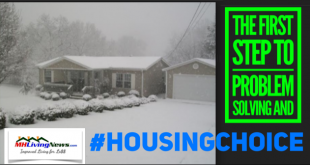 Now, let’s dive deeper into the answer, because understanding the ’causes and cures’ are useful for housing seekers, all home owners, public officials, and investors alike. 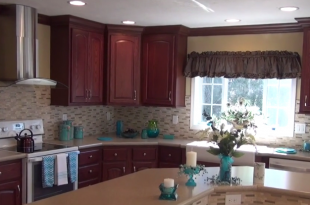 The photos are all of different manufactured homes (MH), all built to the HUD Code, the nation’s only federal construction standards for housing. 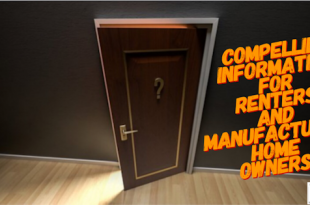 Proper Knowledge – is need of a product or service. 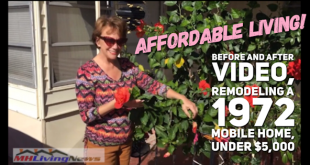 In this case, an accurate understanding of manufactured homes (MH) affordability, quality, how appealing living in a manufactured home can be, those factors allow their residents to do more of everything else they want to do in life. 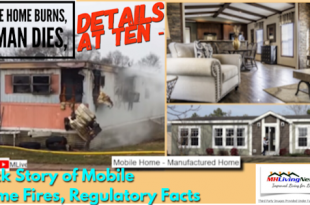 Understanding – facts, evidence-based knowledge – fuel understanding, which must include the benefits of manufactured homes to those who own them, as well as to their neighbors, investors, officials and others. 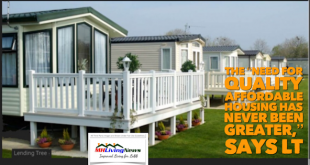 Answers – to the common questions or concerns about manufactured homes is demonstrated to lead to more purchase or sales. That’s true of any good product or service. Desire – once understood, people want something that is good for them. The Ability or Means – is clearly required to make a purchase. 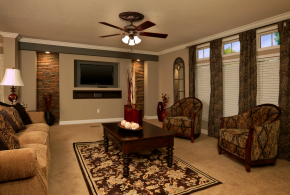 The ability to pay for and/or finance a purchase is a requirement for any ‘big ticket’ item. 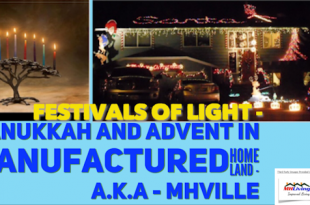 Cars, RVs, houses, condos, or a manufactured home. 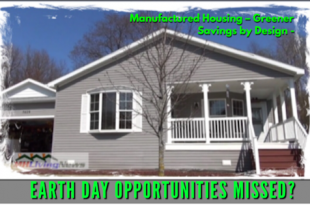 Opportunities – for proper placement, home sites, public policies, zoning, etc. 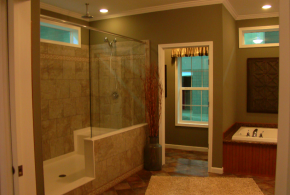 are an important component in the numbers of sales being made. 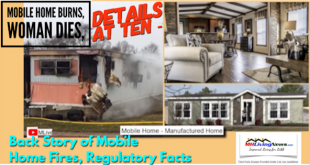 For instance, tens of millions are ignorant of the enhanced preemption that’s already federal law under the Manufactured Housing Improvement Act of 2000. Note that as one considers each of the above, compelling information and communications are at the core of each bullet point. You could call that an educational process. 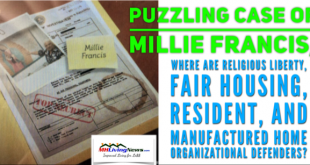 The author of this column has given numerous live talks to residents, professionals, and others on manufactured homes. 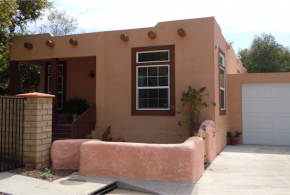 Loans are already being made on millions of housing units annually. 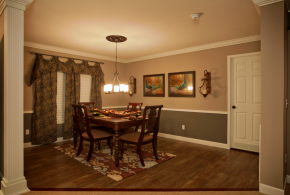 Once manufactured homes are properly understood and treated – which we see are educational/communications issues – more money and financing options can become available. 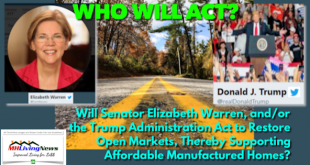 For example, beyond finance companies, credit unions or banks, there are already several states – plus federal lending programs – that can make the opportunity for owning a manufactured home a reality. 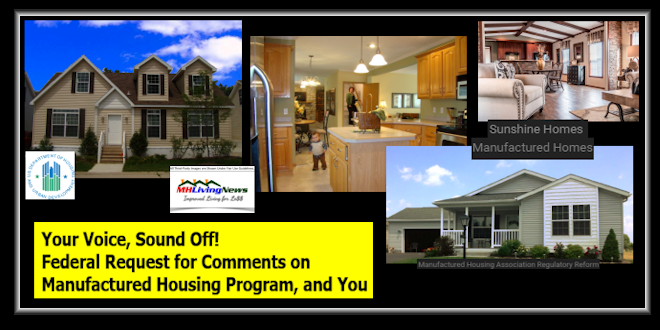 The Department of Housing and Urban Development (HUD), the primary federal regulator for manufactured housing, requested public comments earlier this year on their regulatory program. 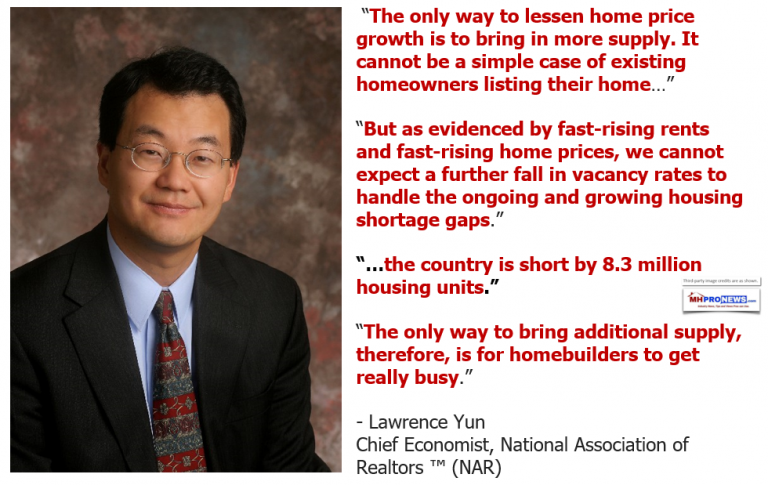 The law of supply-and-demand teaches us that the greater the understanding of manufactured homes would lead to more demand, which would result in still more lending. 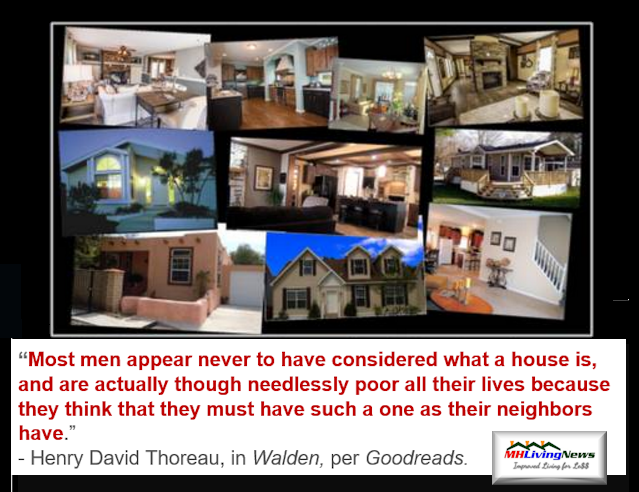 or how studies reflect that affordable homes don’t hurt the values of other nearby housing area all educational issues. 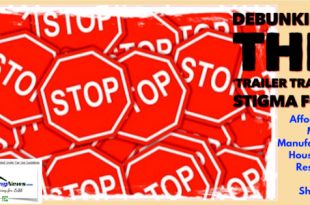 In education on any topic, it often takes more than once for something to be explained for it to be understood. See the linked information, as well as the related reports, further below, for added insights on the bullets shown. 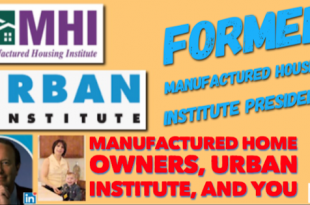 For over two decades, foundations, non-profits, federal, insurance, and university-level and other third-party studies have demonstrated the value of modern manufactured homes. Since those studies were done, many others have been published. 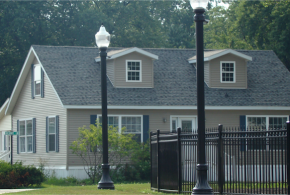 Since the Manufactured Housing Improvement Act (MHIA) of 2000 was passed into law during the Clinton Administration, even more research demonstrates the value of contemporary manufactured homes. 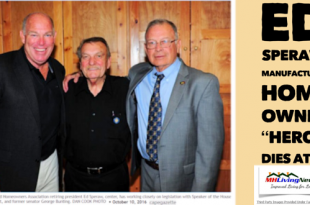 We will look in a future article at the drama behind how the MHIA bill came to pass. 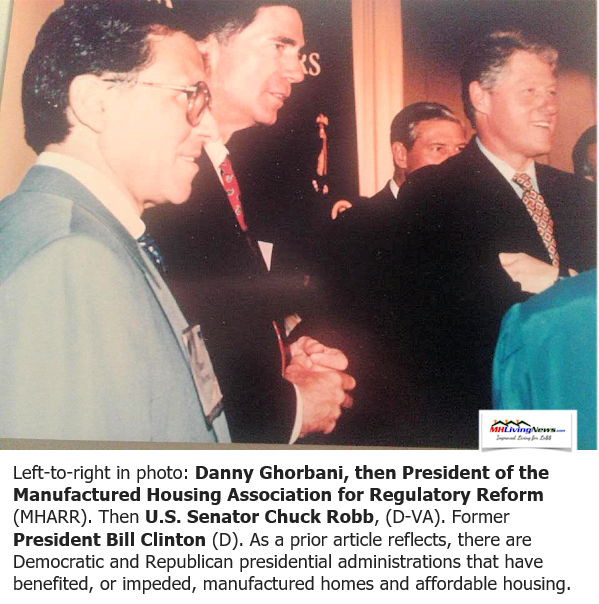 But we will simply note for now this photo of then President Bill Clinton (D) at the right, with Danny Ghorbani (left – then President of the Manufactured Housing Association for Regulatory Reform), and then U.S. Senator Chuck Robb (D-VA). These and others worked together for the good of consumers and industry alike. Beyond primary, secondary or other formal education, people for centuries get much of their news from businesses in media. Media of all kinds – radio, TV, internet, print – are made up of people, who are much like you or me. In this writer’s experience, many mainstream journalists, editors, producers, and publishers truly want to get the facts right. 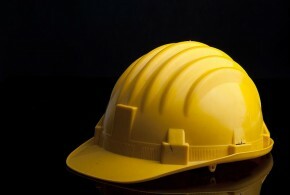 That said, they also work for a company. 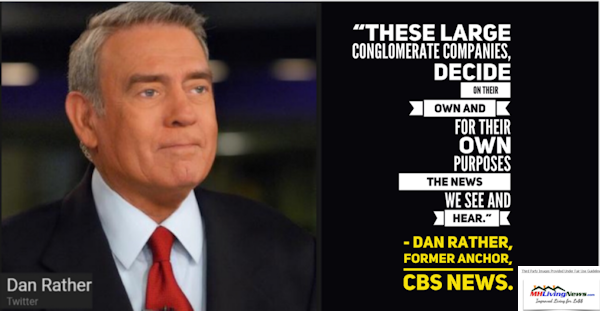 Media in the U.S. is obviously a business. And like so many professions, media has been increasingly consolidated into fewer and fewer hands. 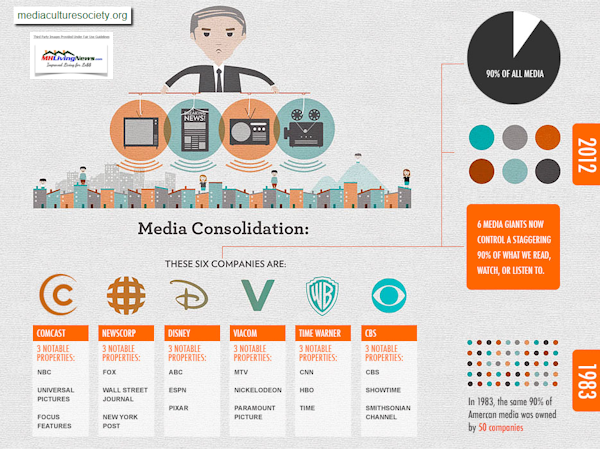 Rephrased, there may or may not be a formal ‘monopoly’ of the news, but there are demonstrable facts that prove that media has consolidated into very few conglomerates. Then, there’s the question of media bias. Let’s be clear, everyone has a bias. 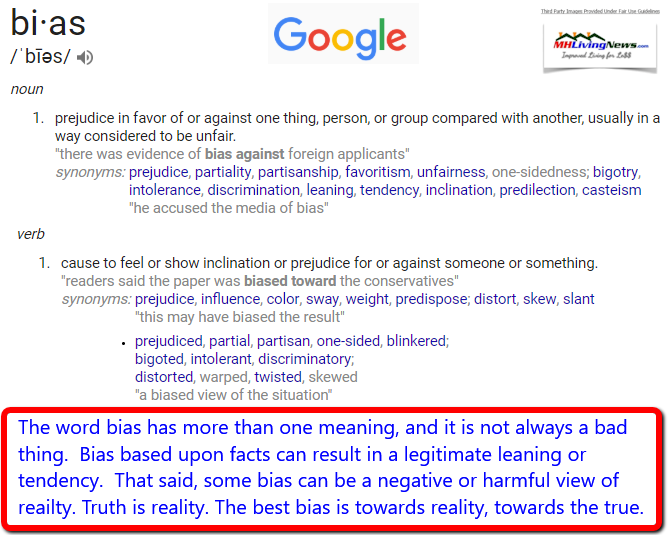 Google defines bias like this. Some bias can – indeed, should be – based on accurate information. 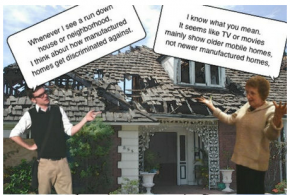 But bias is often based upon misinformation and/or prejudice. The difference? Facts, evidence, and prudent investigation that seeks the truth. 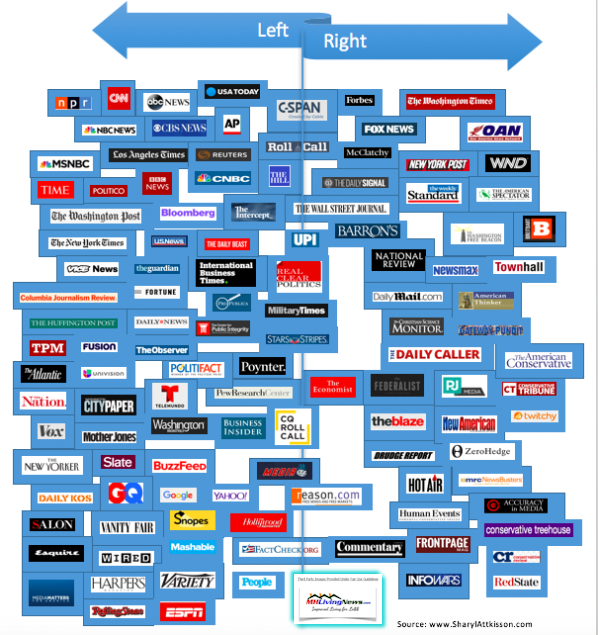 Award-winning independent journalist Sharyl Attkisson created this left-right media bias chart, that’s useful for discerning the political agendas that are often behind a given media outlet. Other researchers have come to similar conclusions as she did in the infographic below. 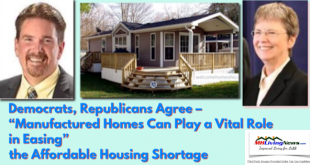 But manufactured homes aren’t political! 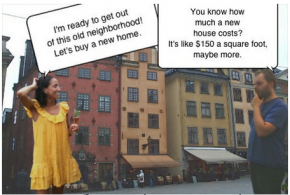 The need for affordable housing spans the left-center-right political landscape. 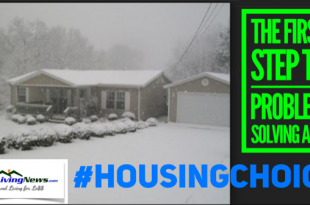 We’ll note in passing that America needs many types of housing options. 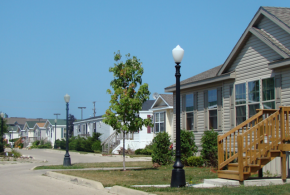 Manufactured homes ought to be treated in a fair and balanced way, so that it can contribute to the solution that is demanded by the need for some 8.3 million housing units. 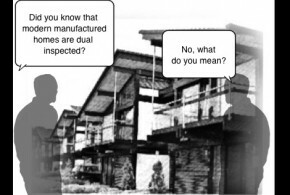 Noting that manufactured homes aren’t a partisan political issue, it would be naïve to think that at the local, state, and federal levels that there are special interests that use political mechanisms to advance some things, and to slow or block others. 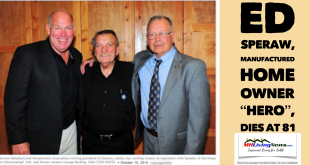 Presidents on both sides of the political aisle have helped or harmed manufactured housing, as the photo and report above reflects. 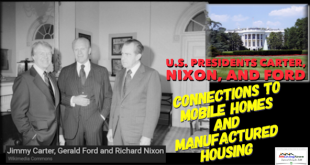 Another example of politics and manufactured housing connections is linked here or below. 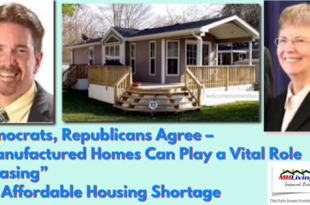 But the impact of politics on manufactured homes will be considered more completely in planned future reports. The use of these or other quotes does not imply that the writer or publisher agree with every other thing that the quoted person said or did. It is the quote alone that is being emphasized. All of the above leads us to this point, which is also made by the media and expert “insider” quotes and graphics shown. Media conglomerates control and/or influences – for better and for worse – our understanding of any given issue. 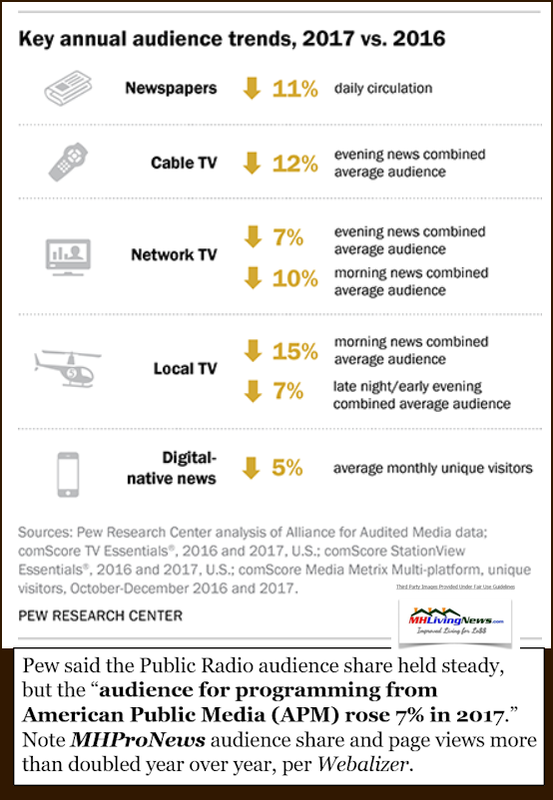 Perhaps that’s last factoid explains why viewers and readers of media has overall declined, with only non-public radio growing (See Pew Research graphic, below). 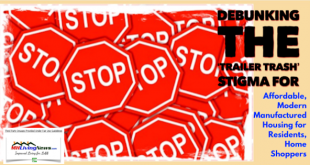 Another exception are some specialized media sites – notably fact-and-evidence based ones. 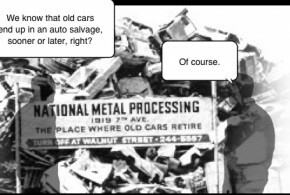 That includes pro-industry trade media sources, which the comment in the graphic below reflects is also growing in audience size. 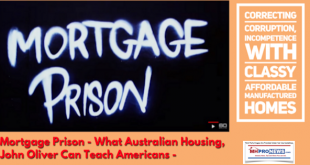 The video posted here below – Shadows of Liberty – isn’t about manufactured homes. 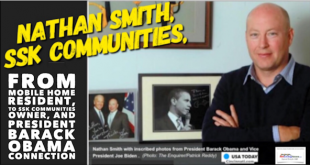 It is about how media works, a powerful, interesting, behind-the-scenes inside look. We’ve showed both the teaser and the full length video. 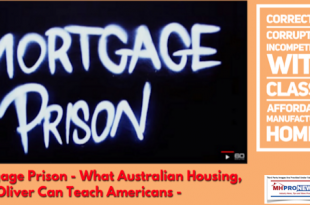 Shadows of Liberty is an award-winning video that explains from insiders and experts specific examples of how media can shape or ignore a story. Netflix has a shorter, edited version, but the one below appears to be a full-length version of the compelling docu-drama. 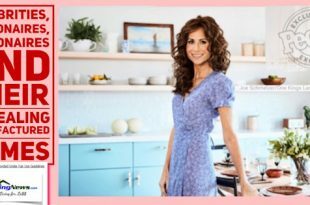 The use of these or other quotes is not to imply that the writer or publisher agree with every other thing that the quoted person said or did. It is the quote alone that is being emphasized. 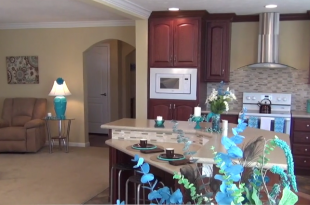 There are positive mainstream news stories published about manufactured homes. 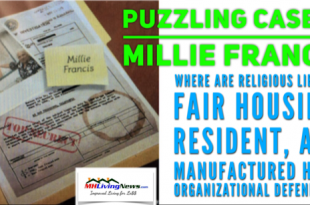 MHLivingNews has – along with our professionally-focused sister site (MHProNews.com) – done reviews and fact-checks on several such mainstream news stories every year. Perhaps because media often takes an ‘if it bleeds, it leads’ news approach – there are usually more stories about problematic issues, and thus tens of millions of Americans are left with a false impression. Drama and controversy attract an audience. It’s human nature. 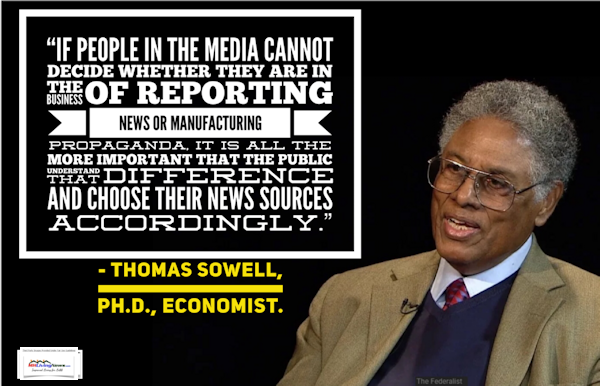 So, to an extent, what happens with in news media is understandable. 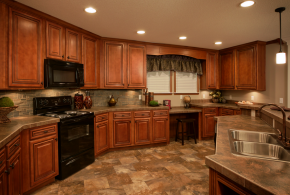 The facts about manufactured homes are remarkably different than the majority of Americans believe. Media is part of the reason why. Again, that need not be understood as necessarily sinister. At least in part, it’s a consequence of a lack of active, ongoing, positive input of good information with mainstream media and researchers. 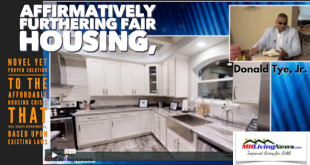 The evidence suggests that manufactured housing needs more pro-active advocacy, something like an ADL for manufactured home owners and professionals. 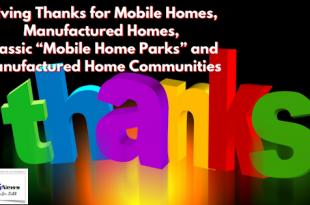 Resident home owner groups and the largest manufactured housing industry professional group – called the Manufactured Housing Institute (MHI) – for whatever reasons, have obviously not communicated to mainstream media on a sustained basis the compelling positive facts about our homes. 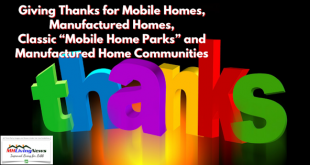 In 1998, the Manufactured Housing (MH) Industry outsold RVs by roughly a 3 MHs to 2 RVs ratio. 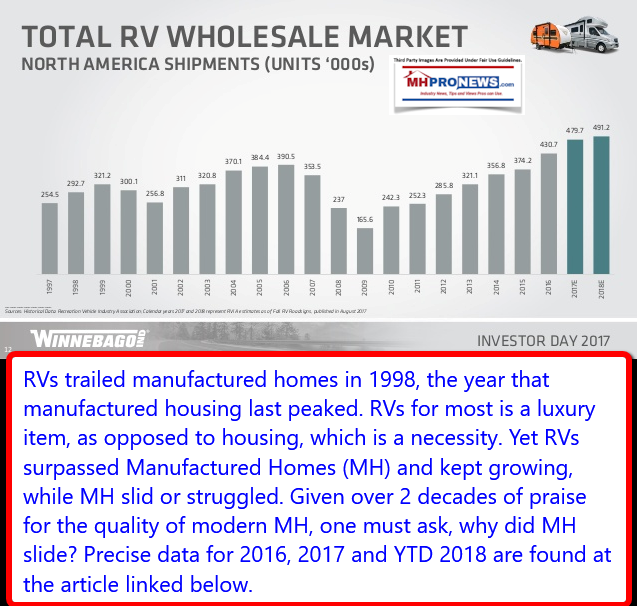 But in 2018, RVs are now outselling MHs by roughly 5 to 1. What happened? 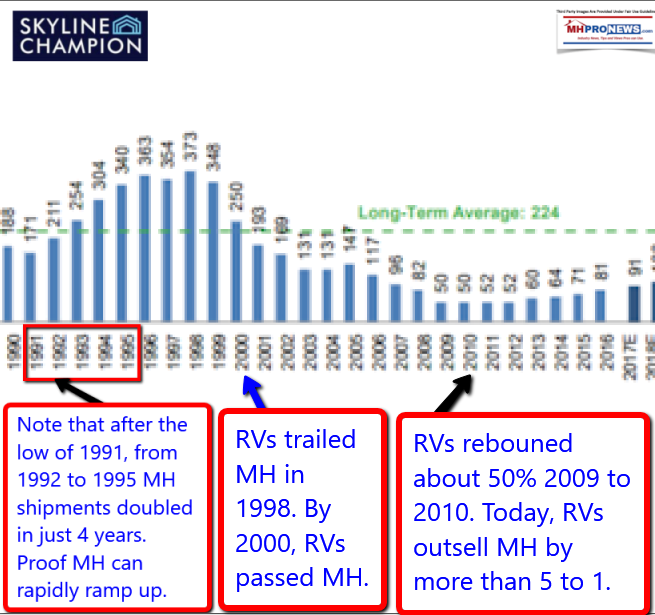 Why did RVs rise, while MH slid? In part it is about advocacy, communication, and education. 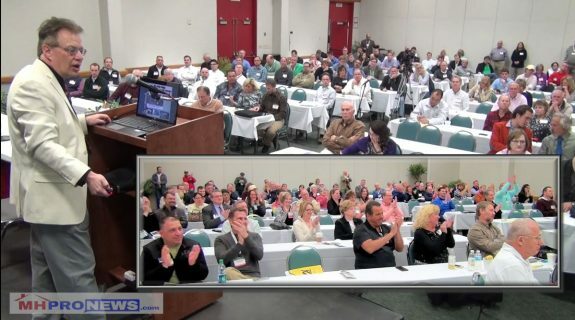 The RV business has production and post-production groups – as well as RV owner groups – that all promote the positive news about RVs. They have bad news stories hit their industry too, but there is so much good news that the bad news stories are taken in stride. Again, there are more details, but education/communication are an important element. 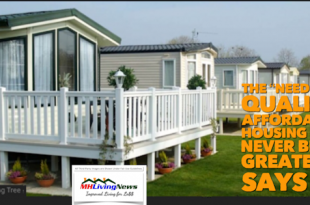 See the two graphics comparing RVs and MH, shown above. The difference? 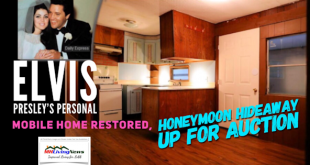 In part, RVs were promoted by home owner groups, by post-production trade associations, and by others in the mix too. 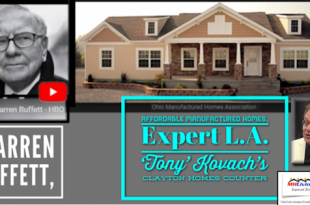 Kevin Clayton said in a video in a report linked further below that the manufactured housing industry was ready to promote the industry. That was 7 years ago. What happened to his promised educational/marketing promotion? Why would a business or industry not properly promote itself? 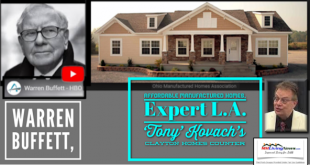 Kevin Clayton is the President and CEO of Clayton Homes. 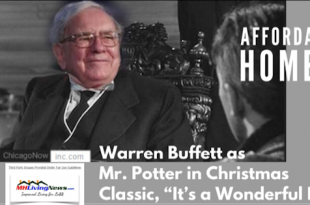 Clayton and their related lenders Vanderbilt Mortgage and Finance (VMF) and 21st Mortgage are all owned by Chairman Warren Buffet led Berkshire Hathaway. What’s odd at first glance is this. 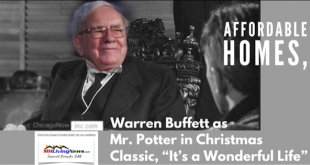 Berkshire Hathaway owns The BH Media Group. 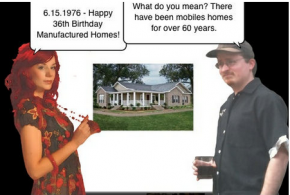 The BH Media Group website says that “We own and operate 31 award-winning daily newspapers and websites.” Why aren’t those newspapers used to routinely educate Americans on the facts about manufactured housing? Because of the way that Google, DuckDuckGo, Bing, Yahoo or other search engines work, local news can turn up in a news search result across the country. 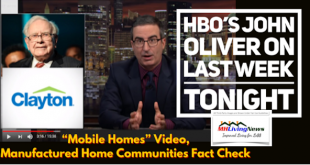 If the BH Media Group produced a steady stream of good, factual, local news – that could soon make a difference for the manufactured home industry, and the industry’s home owners. 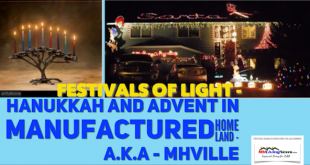 To be sure, the BH Media Group has at times run positive articles about manufactured homes. 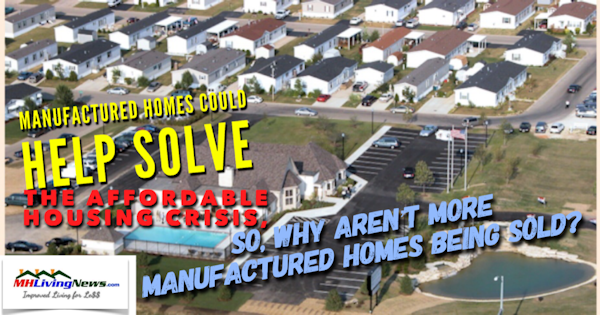 But they’ve produced no organized, systematic, fact-and-evidence-based approach explaining how manufactured homes could help solve the affordable housing crisis. Why not? To even a causal-observer that looks at the facts and videos on this page, they are left with an odd reality. 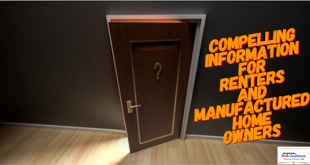 Those like Berkshire Hathaway, Clayton Homes, the trade association they dominate – MHI – or even resident groups, who ought to correctly promote a proper understanding of manufactured homes. 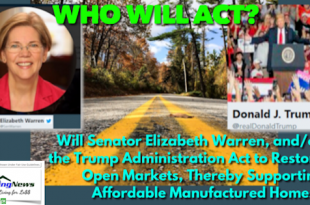 So why has MHI, Berkshire Hathaway, Clayton Homes, or other resident owner associations failed to promote the good news in a robust fashion? Part of the proof of the harm that has caused is implied in the charts comparing RVs and MHs above. 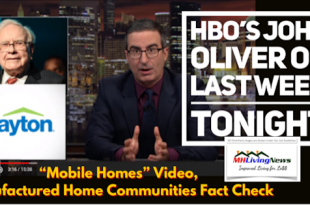 By contrast, no one operation does more systematic reviews of the news than MHLivingNews and our professional sister site, MHProNews. As noted, our audience is growing. But compared to the budgets of Clayton or MHI, they can outspend us many, many times over. Why don’t they do more? We will look more at that and related issue in the days ahead. But we’ll sum up today’s report this way. 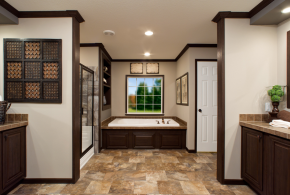 Manufactured homes are proven by third-party research to be a positive, affordable, safe, and appealing housing choice. 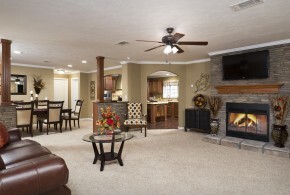 Manufactured home owners overwhelmingly love their homes. 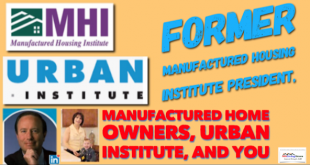 That love of manufactured homes includes those who have owned conventional housing first, see the focus group video in the report linked below. 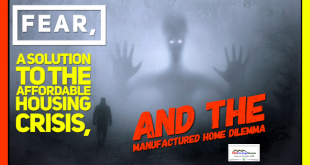 Manufactured homes can gain in value, as the report below debunks the ‘fears’ that often go with manufactured homes. 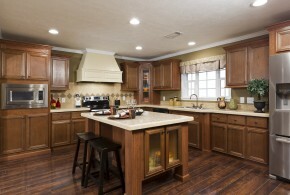 There is much misinformation about our industry’s homes. The good news tends to be drowned out by dramatic local stories that can leave a false impression. The most common is windstorm related. As a related-reports linked further below indicates, in 2017 the National Weather Service (NWS) reported that deaths during a tornado in MH were less than 1 in a million residents. That means far more Americans die in an accident in a bathroom in any kind of housing unit – about 70 times higher odds – than someone will die in an MH during a tornado. Keep in mind that those statistics shift year-by-year, but are accurate for 2017. But when we did various videos reports, like the one below on windstorms, it was based on facts available at that time. The last note we’ll make today about news and media will be a quick point about social media and search engines. 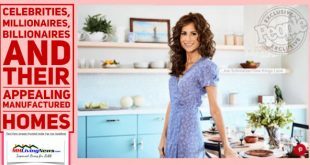 There’s a growing body of evidence that search results can be skewed, and that ‘shadow banning’ can occur that doesn’t remove an item, but can make it harder for that post, image, photo, or video to turn up in a search result. 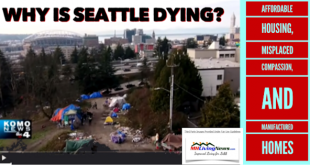 We have one video on the windstorm issue with over 400,000 views. 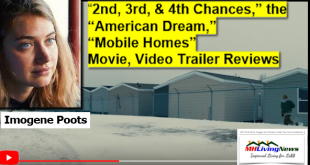 It is currently the most viewed video in manufactured housing on the windstorm topic. 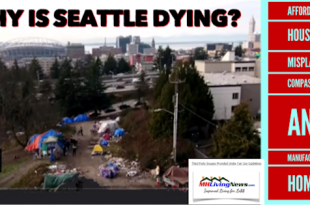 Yet another, more recent video we produced, has far fewer views. The newer one is better, so why does it have fewer views? The Urban Institute reviewed this same headline question last January. They came to some similar points, but they differed on other points than we have here. We’ll look at the topic too in the days ahead.